According to the World Cancer Research Fund International, chronic liver diseases, such as those caused by the regionally prevalent hepatitis B and C, are major causes of liver cancer. As the sixth most common form of cancer in the world, the diagnosis and treatment of its causes are paramount to society’s age-long battle against premature mortality. Traditionally, the diagnosis of liver diseases is carried out via ultrasound imaging, CT scans, and MRIs. Photoacousting (PA) imaging, whereby delivery of light energy is absorbed by tissues that then generate ultrasound waves for the transducer to produce real-time high-resolution images, has shown the potential to empower physicians with the information to effectively diagnose and treat the liver. Unfortunately, the liver has low optical absorbance which impedes the application of existing PA imaging techniques. Collaborative research conducted by Professor Chulhong Kim from the Department of Creative IT Engineering at POSTECH, along with Professor Sei Kwang Hahn from the Department of Materials Science and Engineering at POSTECH and Professor Woosung Kwon from the Department of Chemical and Biological Engineering at Sookmyung Women’s University, has successfully demonstrated an elegant and versatile method for PA imaging of the liver by developing a liver-specific conjugate with high targeting efficiency, strong optical absorbance, excellent biocompatibility, and safe biodegradability. 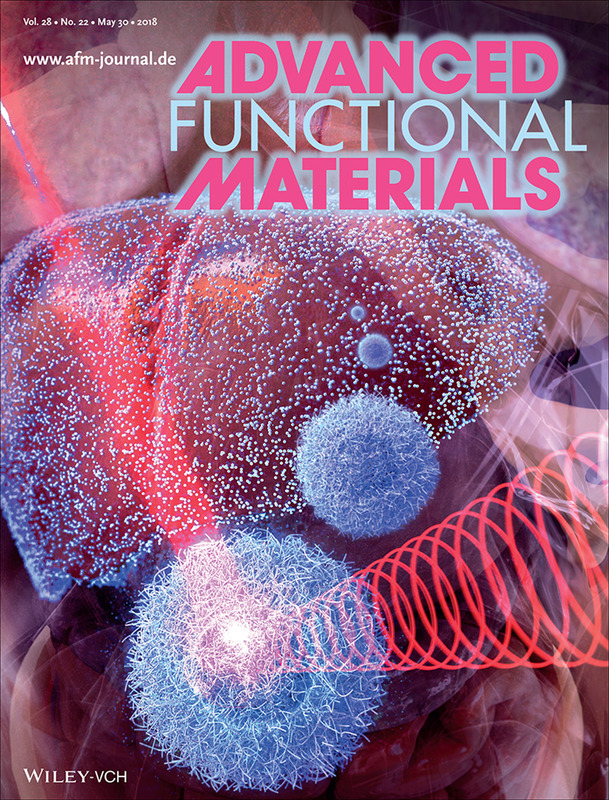 This breakthrough achievement was published in the world-renowned Advanced Functional Materials as an Inside Cover Article. The research team combined silica nanoparticles (SiNP)—an exogenous contrast agent with high resolution and efficient clearance—and hyaluronate (HA)—a natural substance with extremely high liver targeting properties, biocompatibility, and biodegradability—for effective liver-specific delivery. In other words, the team developed a safe and efficacious delivery agent for the noninvasive diagnosis of the liver at a level of detail never before achieved. The HA-SiNP conjugate, injected into the bloodstream, will move about the body until it reaches the liver, at which point will accumulate for PA imaging. Afterwards, the HA-SiNP will gradually escape the body via urine in 48 hours. This achievement is made even more noteworthy because of its potential to contribute to not only the diagnosis but also the target-specific delivery of drugs for treatment. Professor Kim anticipates that this remarkable discovery, coupled with existing ultrasound imaging techniques, will bring forth novel solutions that will enable in-depth diagnosis and rapid treatment. This research was supported by the Ministry of Science and ICT of Korea under the ICT Consilience Creative Program (IITP-2017-R0346-16-1007) supervised by the Institute for Information and Communications Technology Promotion (IITP), the Basic Science Research Program (2016R1C1B1011830 and 2017R1E1A1A03070458), and the KIST Institutional Program (2E28200-18-018). It was further supported by the Korea Health Industry Development Institute (KHIDI) under the Korea Health Technology R&D Project funded by the Ministry of Health and Welfare of Korea (HI15C1817).